7-Eleven, the global convenience store chain, has announced the launch of its first private label cosmetics brand under the name Simply Me Beauty. Promising “cosmetic convenience”, the new brand range is described as “an affordable, fashion-forward line of makeup” targeting millennial women. According to 7-Eleven, the new products were “created for busy millennial-aged women looking for their makeup and accessory must-haves while taking care of business, family and themselves” and are “affordably priced” at between $3 and $5 per item. 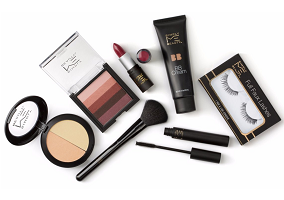 “The beauty industry has seen dramatic growth of cost-conscious cosmetics in the marketplace because millennial women are looking for a variety of colors at affordable prices”, said Lindsay Robertson, 7‑Eleven product development category manager. “They like to buy and try, and our goal when developing the Simply Me Beauty line was to create a line of makeup that had a quality look and feel without a high price barrier”. Joy Pico, 7‑Eleven category manager, added: “Much of the time, makeup items like lip and eye colors are spur-of-the-moment, impulse buys. If the price is right, that makes it easier to justify. For a millennial working woman wanting to refresh her makeup while grabbing lunch at 7‑Eleven stores, Simply Me Beauty is a welcomed offering and is priced just right for her”.